I witnessed this unusual public holiday on a trip to Liberia. It was far from the day of honouring the dead I expected. 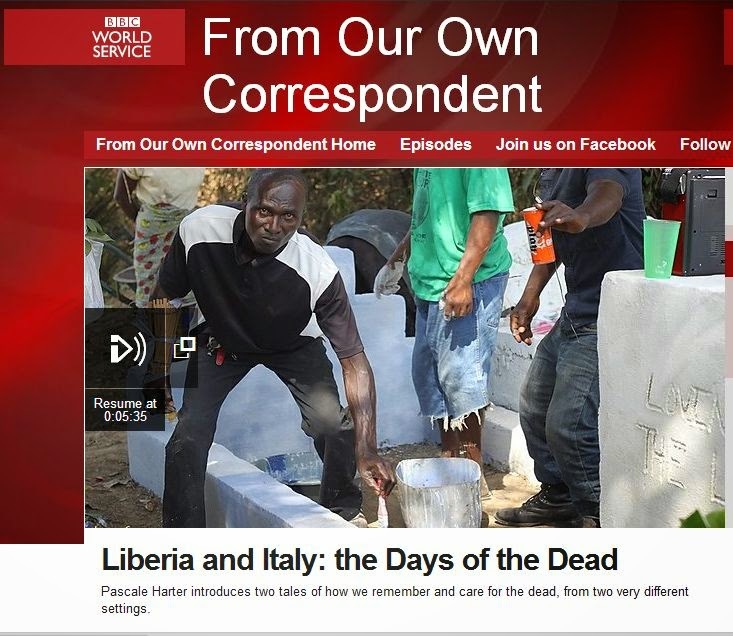 In this piece for the BBC World Service I describe how celebrations in Monrovia's cemeteries turned into public raves, with dancing, singing and drinking on the graves. Sadly, I also discovered practices in the graveyards that threaten people's rights to live in clean environments and access safe water. You can listen to the broadcast on the BBC World Service website.